Submitted by admin on Sat, 03/25/2017 - 15:06. Our next meeting will be Tuesday, April 18, 2017. Abstract: Java 9 is now in the second phase of the ramp down process with the General Availability date of July 27, 2017. Java 9 has over 90 Java enhancement proposals (JEPs) that are available in the JDK 9 early access. Let’s explore some of the new features of Java 9. Speaker Bio: Paul has been involved the software industry for over 25 years programming in languages such as SmallTalk, C++, Java, and Android. He has worked in many domains in the San Diego area with a strong interest in Agile Development practices. He has been involved in several volunteer organizations such as the Boy Scouts of America, Botball and The League of Amazing Programmers; giving back to the community. Paul has been the President of the SDJUG since 2001 actively coordinating the monthly meetings. 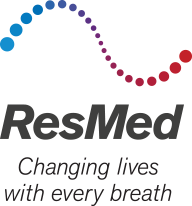 Currently he is working at ResMed, a company committed to changing lives with every breath by treating sleep disordered breathing. Abstract: Every day we hear about more cyber vulnerabilities and attacks. Many of our systems and devices are based on C and flavors of unix, developed more than 40 years ago. This session describes a proof of concept that executes Java source code directly on hardware. The objective is to provide an environment for students and makers to explore embedded programming with a more cyber secure language. Speaker Bio: Most of Jeff Sparkman’s experience has been with DoD programs: missile defense, vetronics, and avionics. In many cases, he has implemented interfaces via CORBA, publish/subscribe, or various message sets. He has worked in a variety of languages including Java, C#, C, C++, Ada, and assembly. Recently, he became interested in cyber security and is a Java GIAC Secure Software Programmer. He prefers to work with strongly typed languages and small reusable components. Company Bio: Locke Labs is researching and developing new approaches to secure and embedded software to yield: fewer vulnerabilities, higher parallelism, deterministic execution, and rapid innovation.